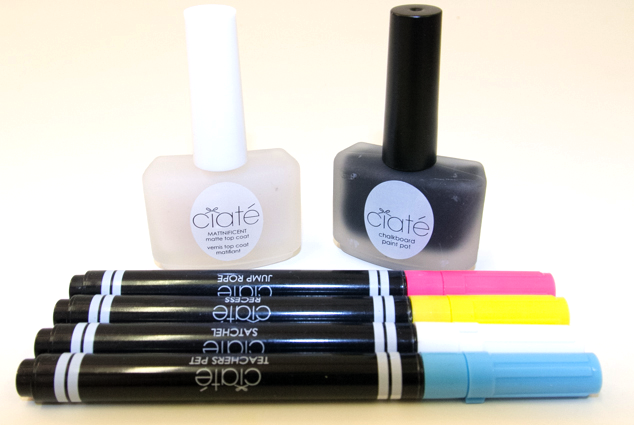 I have an amazing little sister who for my birthday got me the Ciaté Chalkboard Manicure set. 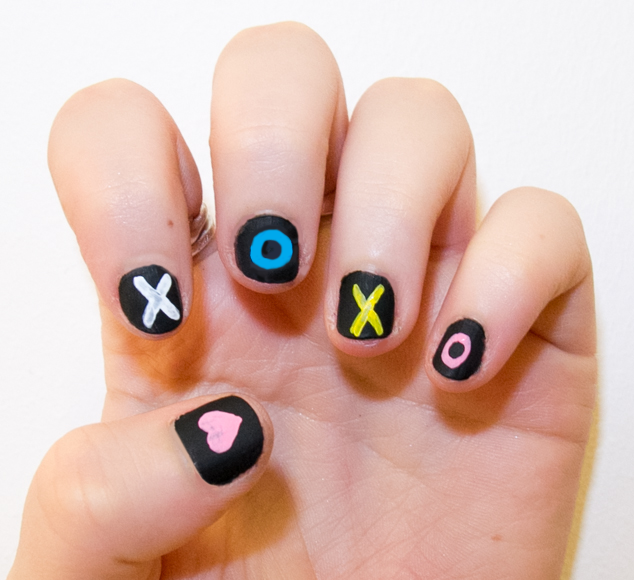 I’ve wanted this for ages, instead doing a makeshift of my own using Rio Professional Pastel Nail Art Kit and Bourjois So Perfect Matte Top Coat. The pack contains 4 chalk pens, 1 chalk board paint pot (black) and one mattnificent :p matte top coat. To apply start with 2 layers of the chalk board paint pot. 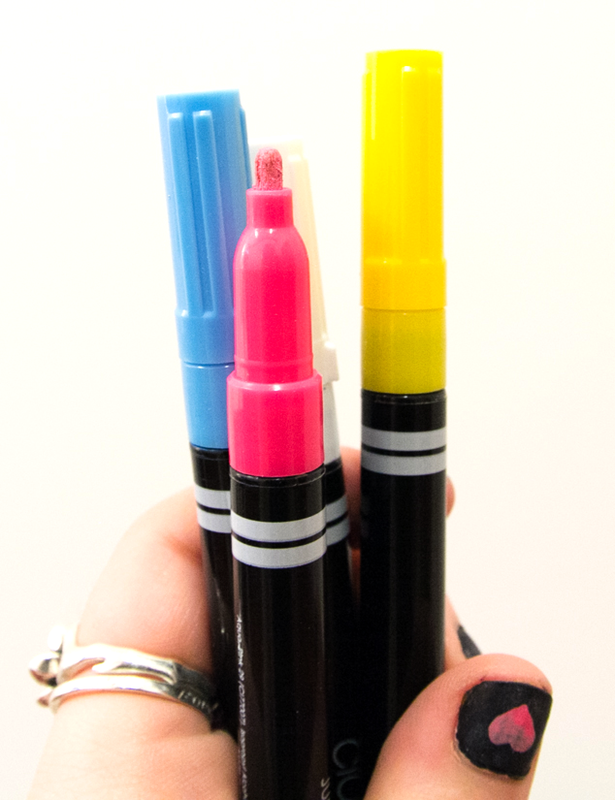 Draw on your designs using the 4 chalk pens. If you make a mistake these can be washed off and drawn again. Pink comes off very easily but the others take a bit more time. Seal in your designs with a coat of the matte top coat, I used 2 to be on the safe side. The pens work really well, pump them up and down to get the paint to start flowing. They are a bit thick and it can be hard to get colour even from them but for a chalk effect I think they are really good. 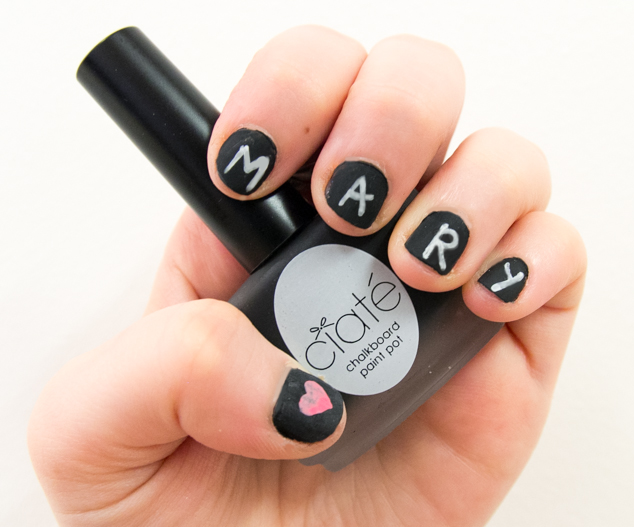 Have your tried Ciaté Chalkboard Manicure?